Solar power has arrived! – Arnon Arnon - Solar power has arrived! The technology group Wärtsilä is leading the way towards a future based on 100% renewable energy. The company only began to supply utility-scale solar power plants a few years ago, and it is already a leading global energy system integrator. The popularity of solar power is growing at an increasing rate. Approximately 300 gigawatts (GW) of new energy generation capacity was built globally in 2017, of which solar power accounted for approximately 100 GW. “Solar power is no longer a product development project or a future opportunity; it has truly arrived. It is no longer seen as a high-risk investment but has become an interesting prospect for investors”, explains Pekka Tolonen, Director, Solar, at Wärtsilä. The prices of solar panels have dropped around the world, which has significantly lowered the total costs of solar power plant investments. According to Tolonen, solar and wind power will be the cheapest sources of electricity in almost all markets in the future, and investments in them or energy generation based on them no longer need to be subsidised as before. While the lowest cost of solar electricity in 2013 was approximately USD 85 per megawatt-hour, the world record in 2017 was approximately USD 18. Solar power has become a competitive alternative to other forms of energy generation, and it is now the lowest source of electricity in many countries. “Solar power is no longer a product development project or a future opportunity; it has truly arrived." However, solar power, quite literally, also has a dark side. Although sunlight is a free and emissionless “fuel”, it is not available around the clock or when the sky is cloudy. But electricity grids need to operate 24/7. The flexibility of capacity has been the biggest obstacle for using solar power until now – but not anymore. A few years ago, Wärtsilä launched a solution called Smart Power Generation, which maximises customers’ cost-effectiveness by integrating renewable energy sources into the electricity grid with the help of the efficiency and fuel-flexibility of Wärtsilä’s plants and their ability to respond to changes in demand. 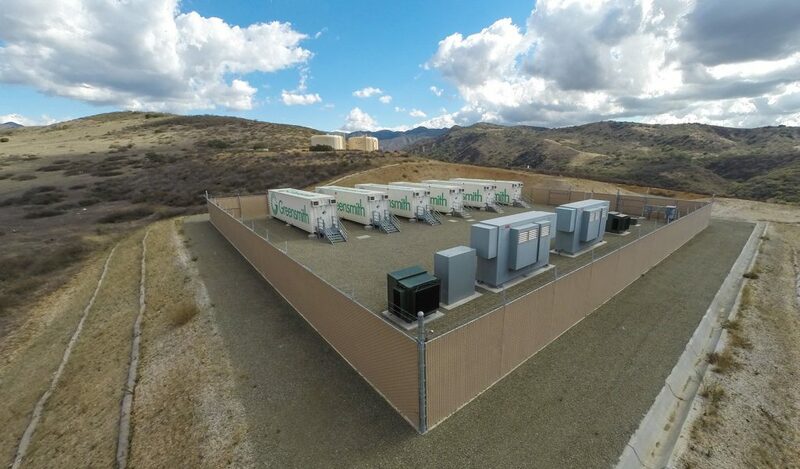 Wärtsilä has also invested in battery storage technology by acquiring a California-based energy storage innovator called Greensmith in 2017. The company’s hybrid power plant concept combines strong experience of diesel generators, modern solar power technology and battery storage systems. Hybrid power plants are able to meet the grid’s electricity demand in the optimal manner at any time thanks to their integrated battery storage systems. “We use a software called the Greensmith Energy Management Solution (GEMS) to integrate battery storage and other power plant systems into electricity grids in order to anticipate changes in electricity demand on the basis of weather forecasts, for example. It also helps us to understand fluctuations in prices and allows us to use that information to decide whether to stock up on electricity or feed the grid. The software also helps to optimise the life of the battery storage systems”, Tolonen explains. Thanks to its hybrid solutions, Wärtsilä is able to provide the changing energy marketing with not only the cheapest method of generating electricity (solar power) but also the most efficient back-up system for electricity grids (diesel generators) as well as a new hyper-fast way to manage supply and demand (battery storage systems). “Diesel generators combined with solar power plants and battery storage systems will become increasingly important in keeping electricity grids running and balancing supply and demand regardless of the natural fluctuations in a power sources such as solar and wind power. Designed efficiently, hybrid power plants lower the total cost of electricity generation considerably. As long as the plant’s output has been chosen correctly, solar power generation never needs to be restricted. Excess electricity can be stored in the battery storage systems and released when electricity prices are high”, Tolonen adds. Hybrid plants are especially well suited to places where electricity grids are not very powerful or that are located on islands or are otherwise remote. Wärtsilä supplies new plants and integrates solar power plants and battery storage systems into existing diesel generators. One of the company’s major competitive advantages is its strong experience of the electricity market: it has installed 68 gigawatts’ worth of power plants in 177 different countries around the world. “We have a very good understanding of how the market operates and the direction in which it is developing. We know our customers and their needs”, Tolonen explains. How and when can we expect 100% renewable energy? Let us return to Wärtsilä’s vision of a future with 100% renewable energy. How can that be achieved, when some of the flexibility comes from diesel generators or gas-fired power plants? “The last approximately 20 per cent will become fossil-free once the price of solar and wind power drops low enough for it to make economic sense to use the excess energy to produce synthetic gas, for example. I hope that it will happen in my lifetime. It is likely to happen sooner and faster than we can even imagine, as has been the case with the revolution of the entire energy sector”, Tolonen says. The world’s largest solar hybrid power plant, which was delivered by Wärtsilä, was inaugurated in Burkina Faso in the summer of 2018. The 15-megawatt plant powers a gold mine operated by a company called IAMGOLD in Essakane. It was retrofitted to a 57-MW diesel power plant that Wärtsilä had supplied previously. The new hybrid power plant is estimated to reduce diesel consumption by six million litres and carbon dioxide emissions by as much as 18,500 tonnes per year.